The Eagle's Lodge: Independence Eve, Does it make you a Mauritian? Independence Eve, Does it make you a Mauritian? Great Weekend, and what is best is that you do not have to think about having to wake up early on Monday to go to WORK ! because it is public holiday. I remember dad used to tell me long ago, they used to drink soft drinks on Independence days, I think they were given soft drinks free or it was sold cheaper on that day. I do not remember well. But anyway, In 2012, no more free or cheaper stuffs on the Independence day. In fact, people are arrested at pacific walks. Times have changed. Things have changed in good ways and some less good ways but that's only depending on where you stand. Those who benefit from it would say life have become much better for them. That's another debate that I wouldn't want to spark off. Whatever it might be, Life was great the past weekend and I even got to assist to the repetitions of the independence day show.. ! The good part ? I do not need to go to the independence day to watch it now!.. hehe.. but i wonder maybe i would still go to test my S1800 a bit more. As far as the title is concerned. I do not think that enjoying on the 11th and 12th of March makes you a Mauritian. Why would you be proud to be a Mauritian ? Because you can wave your flag and scream around ? I mean you can do that with any other flags, I am sure the feeling will be pretty much the same !. In 2012, in Mauritius you should understand that you are alone and as our PM says it quite often "no one owes you anything". Mauritians should understand that. They cannot continue to rely on help from others and charity but should stand up on their own. Only that day shall be see an independent Mauritius. 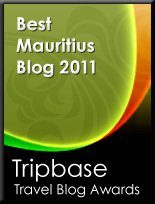 As long as people will be living and depending on the welfare state, we won't have an independent Mauritius !.